SPECIAL DEALS - Usually 39.99, today just 24.97 - Save over £15! 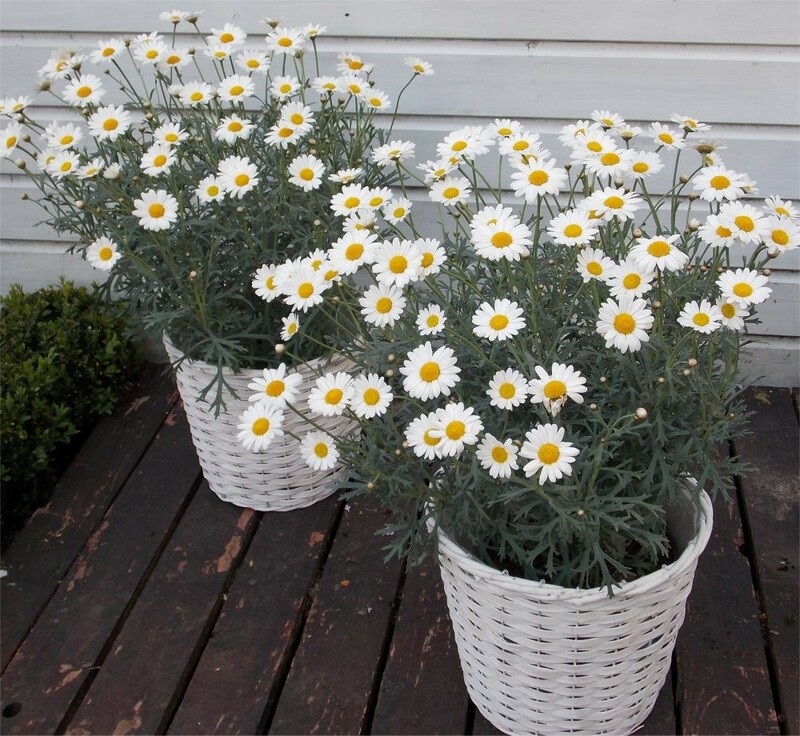 Pair of Giant Flowered Marguerite Daisy Bushes complete with attractive display baskets. Stunning Plants already growing away nicely in pots, supplied covered in flower buds and blooms. Fantastically presented and looking beautiful. These Giant Flowered Daisies, known as the Marguerite, are native to the Canary Islands, and provides a fabulous display of large flowers all summer long, from early May, right through to Autumn. 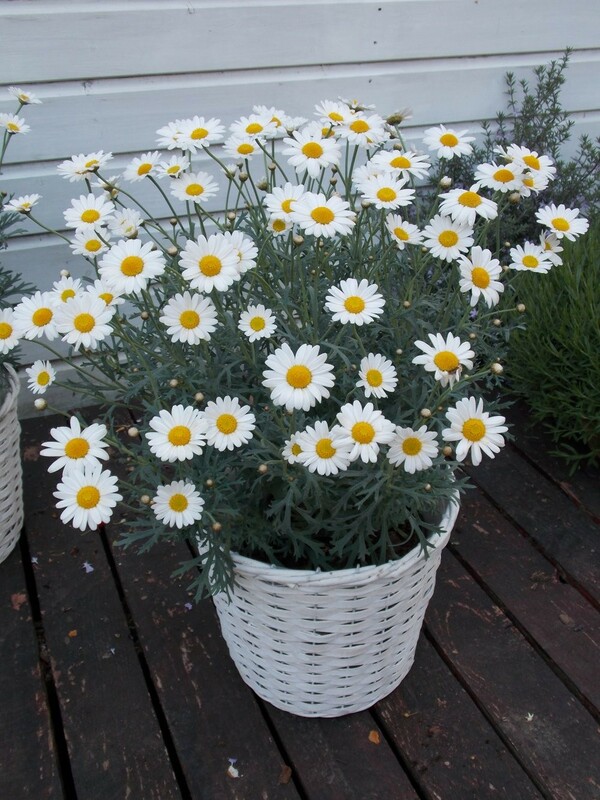 The plants carry a multitude of pretty white daisy like flowers with a bright yellow centre in masses to create a magnificent show. The foliage is an attractive grey-green with an beautiful ferny appearance. 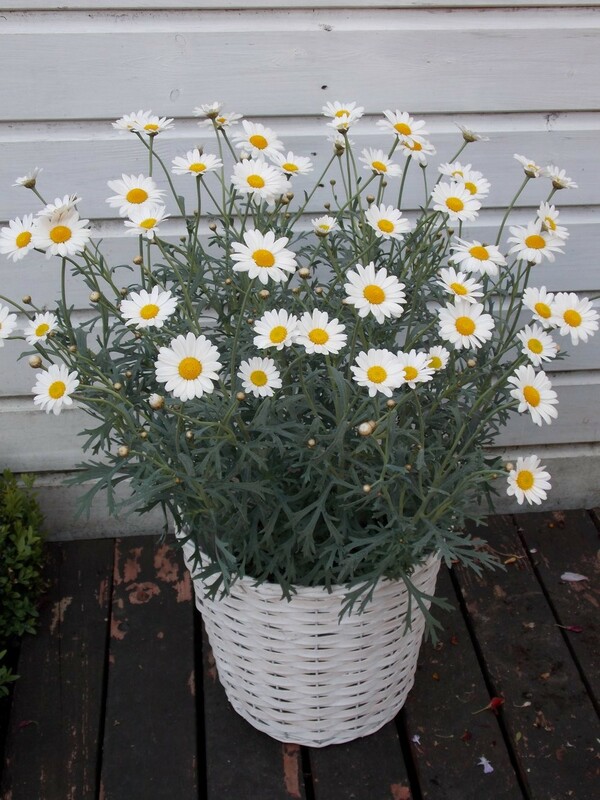 This special giant daisy would make a great centrepiece in pots, on its own or surrounded by other flowers. The baskets supplied are the perfect compliment to both the flowers and foliage, making these a wonderful gift for someone special, or yourself! A pair of these look fabulous flanking a door way, steps or dotted around the patio through summer, always providing their cheerful daisies to admire. They're also fantastic planted in to beds and borders. Easy to keep year after year, simply trim over when the season is done and bring in doors to a cool bright room. This plant will thrive in full sun and moist well drained compost, and does best with frequent watering and feeding through the summer months. Simply remove spent flowers for a continuity of flowers all summer long. Our plants are Supplied in approx 3 litre containers complete with the baskets as pictured, these are looking stunning and bursting in to bloom. Simply position and enjoy! Supplied as pictured complete with woven darling baskets and an overall height of around 60cms.